The design approach knits; Be human, Be relevant, Be clear and Be wonderful, creates a connected visual flow by knitting together contents to create a well branded, seamless experience and visual choreography. 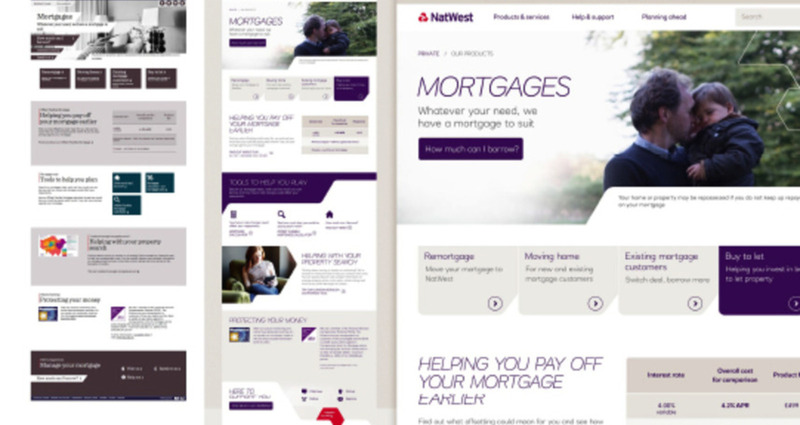 Unique shapes have been carefully used to help guide the user through the content and create visually well-connected journeys. 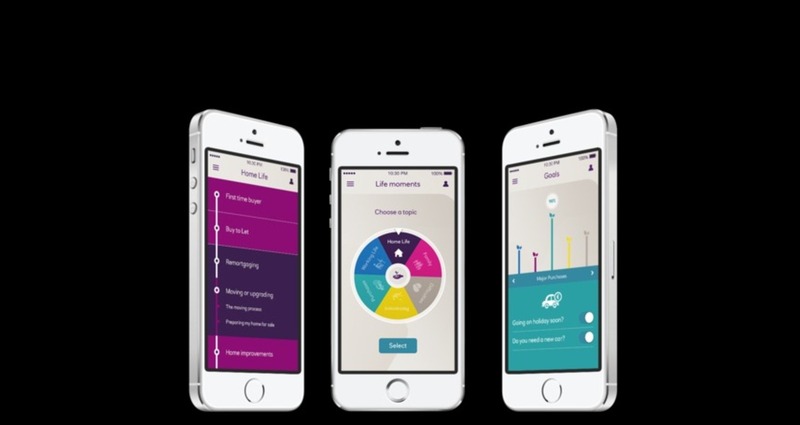 There has also been an emphasis on clarity and legibility to help guide the user through the experience. By being positive, warm and “everyday”, the brand gives the customer a helpful online experience. 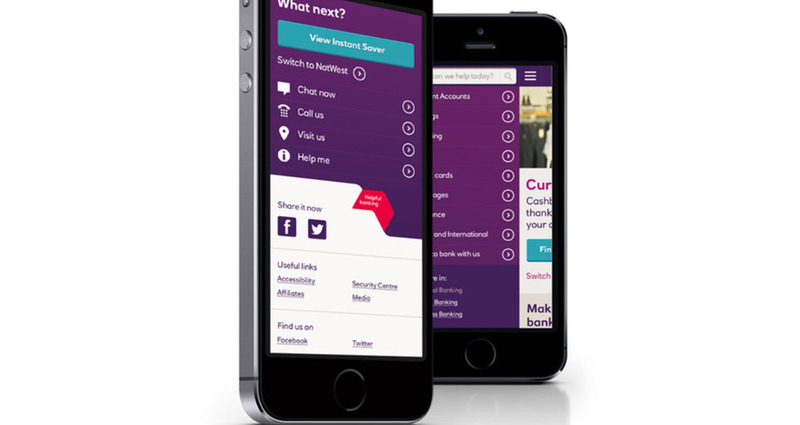 RBS and NatWest introduced new branding in 2014, which included very distinctive assets that aim to differentiate the brand from their competitors. 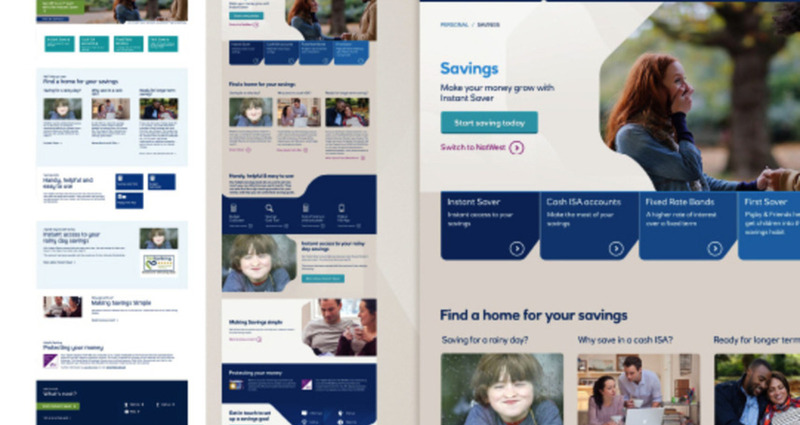 we delivered the concept and design across RBS’s digital channels, including desktop, mobile, mobile apps, online banking and digital tools. 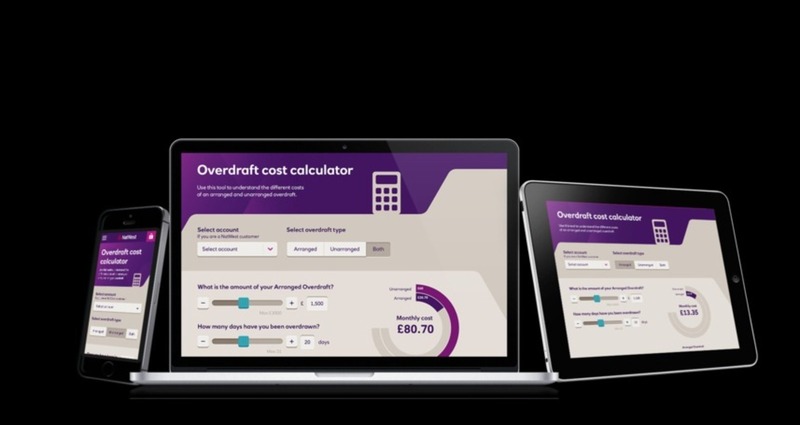 This included art direction, content strategy, user experience and technology integration for both RBS and NatWest’s Personal and Private Banking sites. 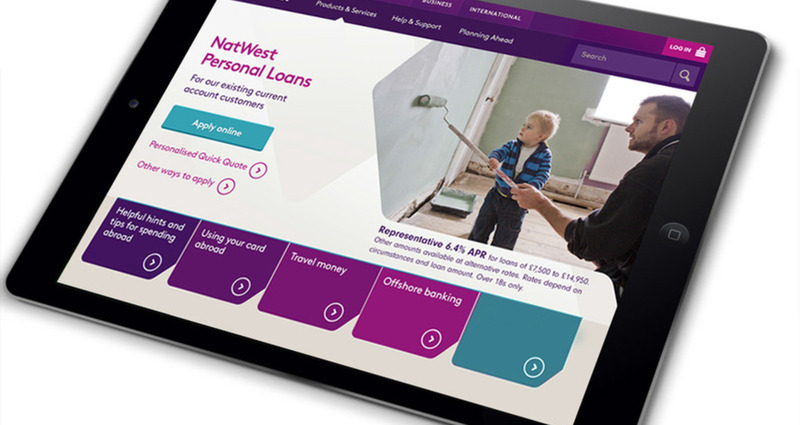 We revitalized the RBS and NatWest brands online by unlocking the creative capabilities of the new visual identity. 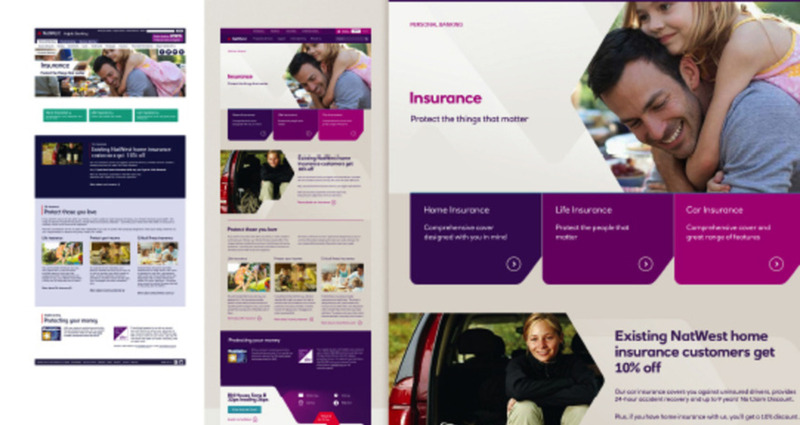 Using unique design thinking and technology, we were able to deliver an improved experience with a stronger design system and clearer visual hierarchy. Four experience principles were established: Be human, Be relevant, Be clear and Be wonderful. The design approach knits creates a connected visual flow by knitting together shelves to create a seamless experience and visual choreography. 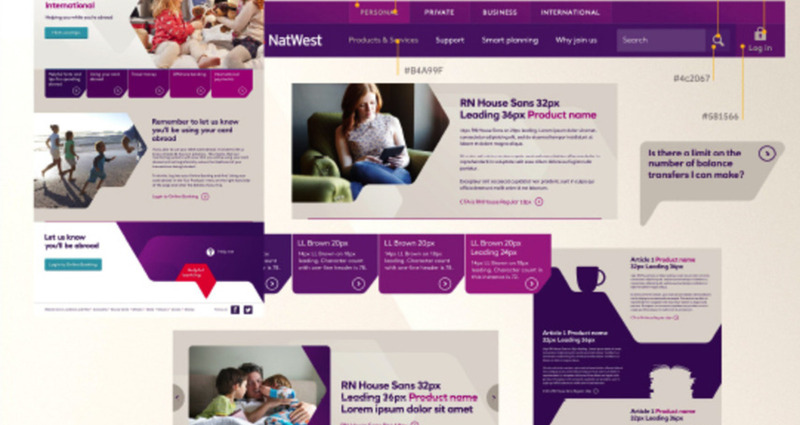 Unique shapes have been used to help guide the user through the content and create visually well-connected journeys. There has also been an emphasis on clarity and legibility to help guide the user through the experience. We also created new tone of voice guidelines to give the online brand a distinctive voice and help the brand connect with customers. The tone of voice works hand-in-hand with the new visual identity and experience. By being positive, empathetic, warm and “everyday”, the brand sounds real, friendly and helpful and helps to give the customer a genuinely helpful online experience. In depth guidelines have also been created for developers, clients and agencies to give clear and concise direction on how to use the visual language on future projects. 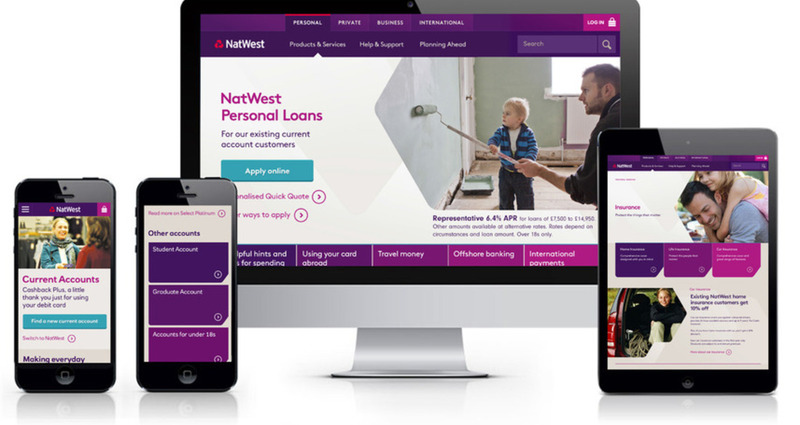 The new branding and improved experience are being introduced across the RBS and NatWest digital channels in phases, which means different stages going live at different times.